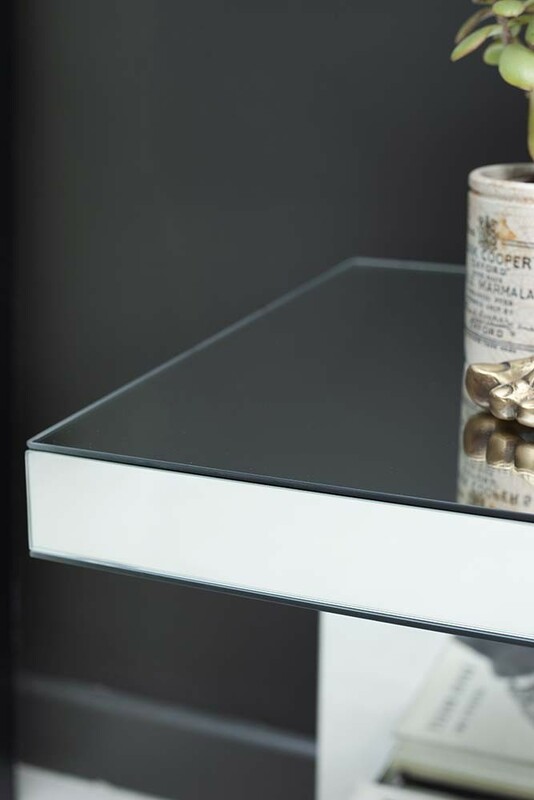 Reminiscent of 17th and 18th Century Venetian interior design the Venetian Mirrored U Side Table will add traditional mirrored sophistication and class to your bedrooms, living rooms, hallways and home offices with a modern twist! 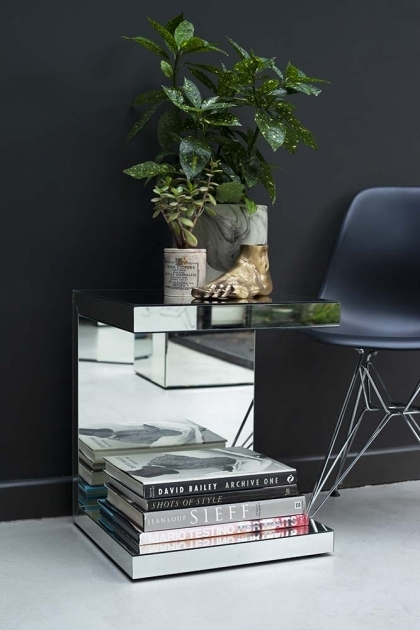 A beautiful side table that will draw the eye as well as reflecting light into the room, the Venetian Mirrored U Side Table is an utterly unique furniture piece for your home. Oozing elegance and refinement style a set of the Venetian Mirrored Side Tables either side of your sofa for ultimate wow-factor. The perfect piece to create a focal point in your home, style with your favourite quirky ornaments, books, lamps and home accessories. Pure beauty the Venetian Mirrored Side Table is completely mirrored and features a sideways ‘u’ shape design giving you plenty of room to store and style your home accessories. 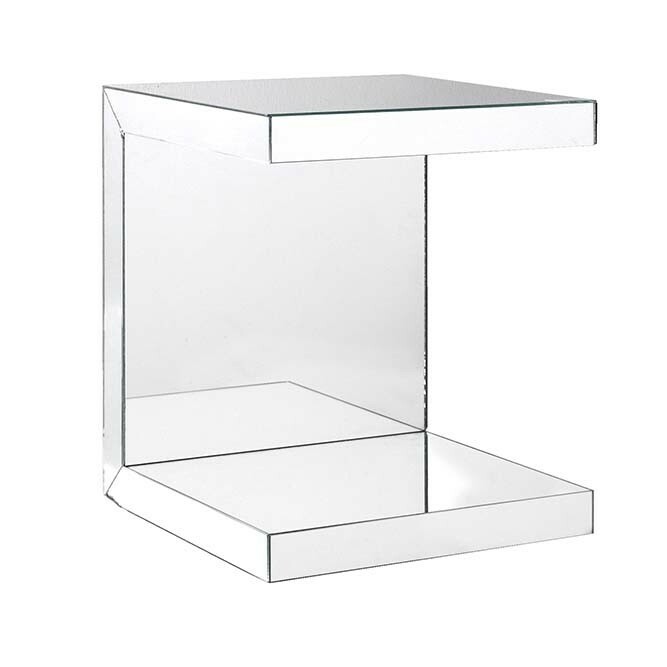 A gorgeous piece, complete the set with our Venetian Mirrored U Side Table, Cube, Dressing Table, Coffee Table and Floating Shelf.